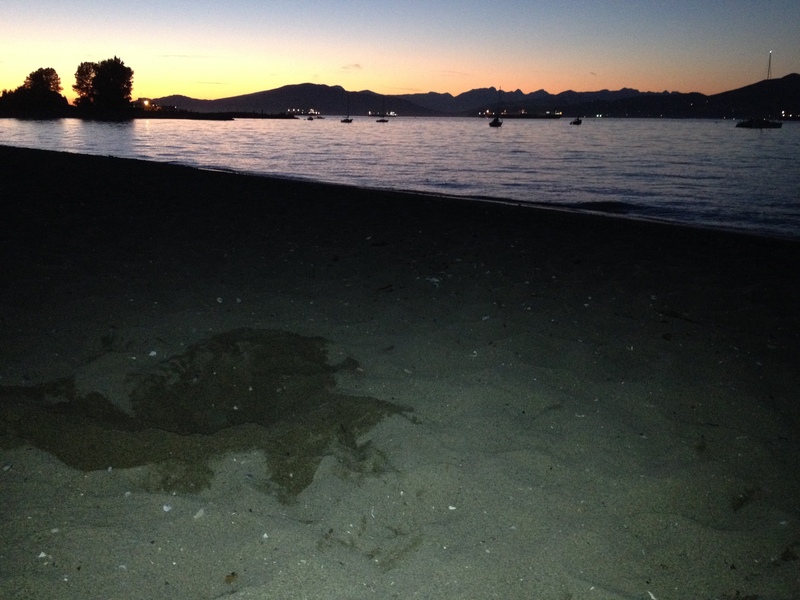 Today, I went to Jericho beach with a dear friend of mine. We were sitting cross-legged in the sand, facing one another and talking about life. I was playing with the sand – something I probably couldn’t have avoided even if I’d tried. It’s a tendency from childhood that’s never quite gone away. A little girl ran up toward us. We said hi and she gave us each a high five. She was about three years old. “What are you making?”, she asked me, eyes filled with an insatiable curiosity. “I’m digging a hole”, I said back. “What’s it for?”, she asked, impatiently. “What do you think it should be for?”, I asked her back with a tone of kindness and a dash of sass, wondering what her young mind would say back. Then, some other kids ran up beside her and she went off with them. Perhaps I’m overthinking this but our interaction, albeit brief, made me think a little bit about how we teach kids to think. When the little girl asked me what I was making, it wasn’t satisfying enough for her to hear what it was. The truth is that I was just digging a hole. It didn’t actually have a purpose. But she proceeded to ask me what it was for, perhaps insinuating that it must obligatorily have a purpose. The hole was an end in itself, empty in its knowledge that it lacked a means to an end so intensely demanded by society. It’s good, and productive, even, to think about things in terms of their utility. But lingering in the process of things can be just as valuable and worthwhile, if not more so. And even if there is a goal in mind, it is not necessary to know exactly what the result will be.